If your system isn’t giving you the performance you expected, or if you bought a home with a solar system and want to ensure your system is producing properly, our solar service inspection gives you peace of mind that your PV system is maximizing your potential savings for just $189. An Aztec Solar Technician will service your solar. Includes an encompassing inspection to ensure your PV system is operating correctly. Get peace of mind by ensuring your long-term investment is paying for itself, please call your Aztec representative at (916) 853-2700, or hop on our live chat now! 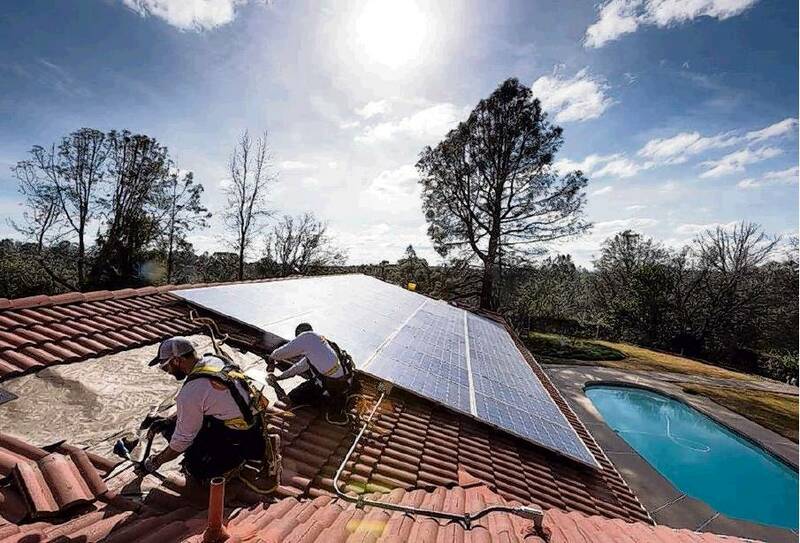 An Aztec Solar technician will conduct a complete site inspection The inspection will include a roof and inverter inspection and an engineering report. If needed, an Aztec Solar Technician will replace your inverter, recording old and new serial number, and confirming that the replacement is operational. Our solar technicians are trained to look out for roof leaks, and determine cause if detected near the solar system. Our technicians will inspect roof and, if applicable, attic or other access under roof. Technicians will prepare findings and determine, as best as possible, whether roof leak was caused by solar installation or was independent of solar installation. In certain areas , dirt and debris can build up on your panels, causing them to produce less energy than they should. Technician will clean modules and will provide before and after pictures. If a module needs replacement, an Aztec Solar technician will find a compatible module and replace the damaged module in accordance with inverter and racking specifications. An Aztec Solar technician will troubleshoot any communication issues your monitoring system may have, or provide a recommendation for how you can add monitoring to your system. If required, an Aztec Solar technician will replace micro inverters and optimizers recording old and new serial numbers, and confirm that they are operational with the manufacturer. Our Aztec Solar Technicians will remove all solar components and store onsite. Technician will reinstall system according to original plan set. All additional materials will comply with original install quality standards.